How Does PURETi Deliver Environmentally Beneficial Air Cleansing? With modern developments in nanotechnology that are just this side of magical, multiple surfaces are being treated with a spray-on coating called PURETi. Once applied, the treated surfaces themselves are actually becoming cleaning machines. 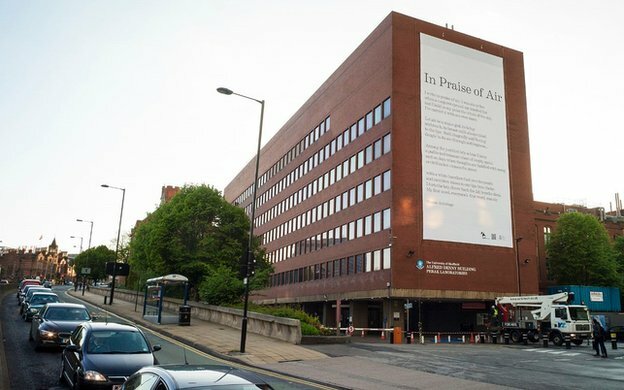 Billboards, windows, vehicles and buildings coated with PURETi are pulling pollutants like smog and other vehicle emissions out of the air. The coating also uses light to interact with dust, grime and even mold to keep surfaces cleaner. As reported in Newsweek*, PURETi’s developers tested their product in a section of one of the stickiest, grimiest spots in the country: a football stadium. 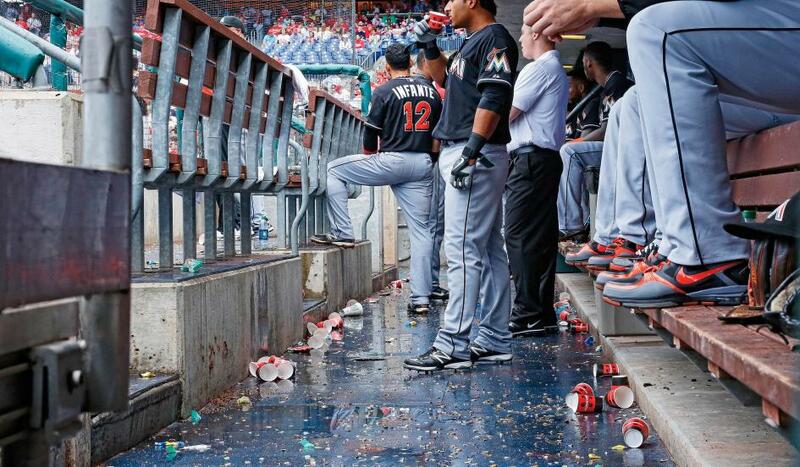 The company that previously had to power wash Sun Life Stadium—home to the Miami Dolphins—knew within weeks that a sunny day was all that was necessary to achieve the same results as power washing. 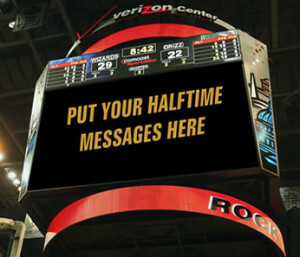 For the stadium, this meant a savings of up to $90,000 after every game! Nanoparticles of titanium dioxide are the superstars of PURETi’s innovative formula. Titanium dioxide is the most common paint pigment in the world and is also found in sunblock, toothpaste and cosmetic products. In a process called photocatalysis, ultraviolet light energizes titanium dioxide molecules. The energized molecules interact with water molecules in the air, creating free radicals that eliminate vehicle emissions and other volatile organic compounds (VOCs). While PURETi’s cleaning power makes the world a brighter place, it’s the unseen benefits that deliver the most value. 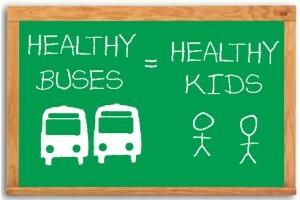 The smog and VOCs that everyone is breathing take a toll on our health, especially children and the elderly. Even a seasoned marathon runner’s breathing is negatively affected after running near busy traffic. Inside, you can count on a coating of PURETi to reduce VOCs emitted by carpets, upholstery and paints. When PURETi pulls pollutants out of the air, everyone literally breathes easier. Multi-tasking PURETi also prevents the build-up of dirt, grime and dust. An ultra-thin coating of PURETi is not detectable to an object as big as, say, a human, but at the microscopic level it’s very slick. Tiny airborne particles that would otherwise equal a layer of gunk interact with the surface and convert to end products that slide off. One professional application of PURETi lasts for up to three years inside and up to five years outside, providing full benefits the entire time. The cost of application is extremely affordable relative to the significant savings on supply and maintenance costs. Even if you aren’t power washing a football stadium, you’re likely to reduce required water, energy and chemicals to clean by half. When cleaning is easier, it’s also quicker, so labor costs are reduced, too. The Grime Stoppers’ trained and certified PURETi application technicians use specialized spray equipment to deposit an ultra-thin film (25,000 times thinner than a business card) that dries in seconds and cures in hours to form an invisible polymer-like ceramic film that is durably bonded to the treated surface. An added plus for new construction is that PURETi holds an SCS Global Services certification which makes it an Environmentally Preferable Product and point worthy in the LEED program of the U.S. Green Building Council. For more information about professional PURETi applications or to try the DIY version of PURETi, contact the Grime Stoppers today. *The Newsweek article referenced can be found by clicking here. Keeping the interior of your company’s fleet vehicles clean is just as important as keeping the outside clean. You want clean windows and a fresh smelling interior for your employees and customers. PURETi Fresh is the answer. PURETi Fresh is an environmentally friendly, water-based photo-catalytic glass cleaner that also cleans the air. PURETi Fresh’s active ingredient uses the energy from natural sunlight to break down organic grime, odor, and pollutants. While in the sunlight, treated interior glass keeps itself cleaner, resists fogging, and improves the air quality inside fleet vehicles. 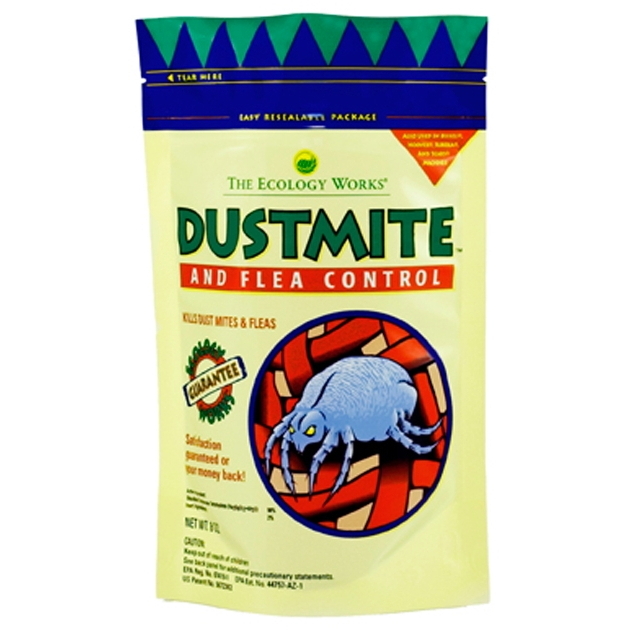 Just one application reduces smoke and food odors for months at a time. It also helps minimize dust buildup on the dashboard because it oxidizes particulate matter. PURETi Fresh breaks down VOC’s (volatile organic compounds) that impact human health. It uses photo-catalytic titania to oxidize organic micro-particles including many harmful pollutants typically found in vehicles. When applied to interior windows on fleet vehicles, PURETi Fresh will deliver the benefit of powerful odor elimination. Many products mask odors, but PURETi Fresh is different. 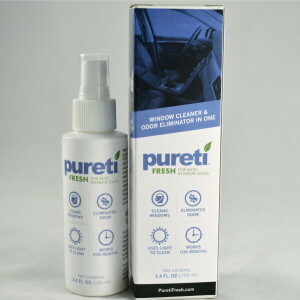 PURETi Fresh combines a high quality, streak-free glass cleaner with light-activated technology that actually destroys odors. When your fleet vehicle is exposed to light after applying PURETi Fresh, the windows will work to destroy lingering odors. Cleaner surfaces mean reduced maintenance, saving your company up to 50% in water, energy, and labor costs. Hazing, fogging, and film buildup can obscure the driver’s vision. The formula In PURETi Fresh reduces the hassle of regularly cleaning fleet vehicle windows because it keeps working even after the initial application. Regular window cleaners only work for a day, but PURETi Fresh continues to work for months afterwards. How long does PURETi Fresh last? Under normal conditions, you can expect it to last 3-6 months. Use of harsh chemicals or hard scrubbing can remove the product. What if my fleet vehicles are parked in a covered garage and not out in the sunlight all day? UVA light is the natural energy that powers PURETi Fresh. Light must be present to utilize the benefits of the product. What if I accidentally get PURETi Fresh on the leather or fabric of my fleet vehicle? 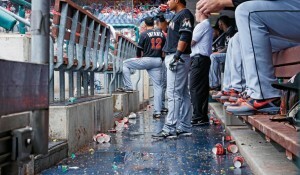 PURETi Fresh will not stain or damage most surfaces. If you get some on your fabric or leather, simply wipe the area clean with a wet cloth before it dries. Can I spray the outside of my windows with PURETi Fresh? This product is specifically designed and approved for interior use only. Contact Grime Stoppers today for more information or to order your supply of PURETi Fresh! We are really excited about the new PURETi product line and want to share some of the incredible ways this technology can be used in a wide variety of applications. PURETi products are highly effective for residential uses, as we’ve discussed in earlier blog posts, but PURETi can also be extremely valuable for commercial purposes. Just as it can help keep cars clean and odor-free, PURETi is an innovative cleaning product that can be used to help minimize maintenance and increase air quality for mass transit buses. The cleaning power of PURETi is also extremely long lasting, so just a single treatment can keep working for 3-6 months. 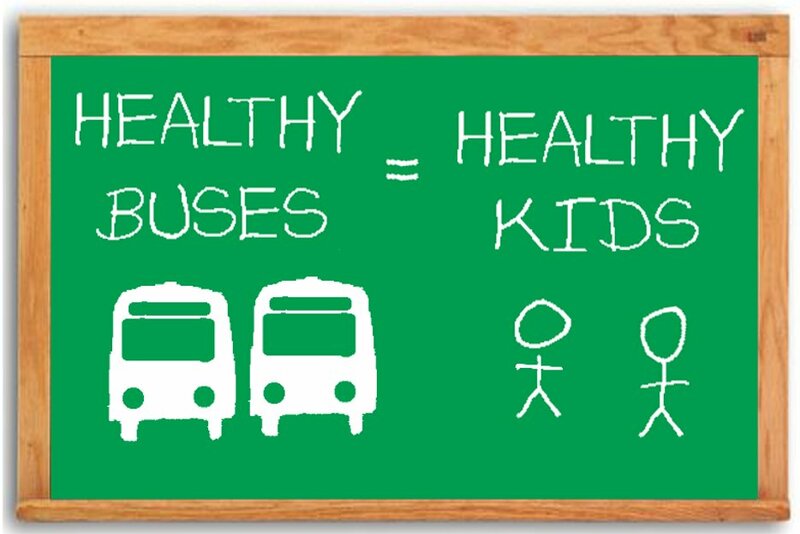 Have you ever thought about how much grime can build up on the inside of bus windows as passengers lean on and look out of them while traveling? 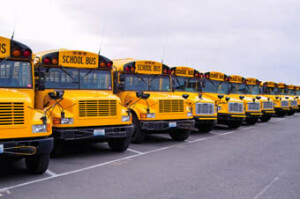 Just like any other passenger vehicle, bus interiors are exposed to hydrocarbons and petrochemicals that can be released by plastic materials, exhaust, particulate matter, and other compounds that are oily in nature. These substances can quickly build up on windows, creating a dingy, dirty film. It seems pretty obvious that transportation companies would want to control that nasty grime for improved passenger comfort and satisfaction. The solution: PURETi Fresh. This product is an environmentally friendly glass cleaner that uses natural energy from sunlight to safely break down and oxidize organic grime that can create a dirty film on windows. The surface of the treated glass will stay cleaner for longer and will resist fogging better than with traditional cleaners. This reduces labor costs related to cleaning bus interiors and also saves energy and resources over other cleaning methods. PURETi Fresh not only helps keep windows clean for up to 6 months after being treated, but those windows also help keep the rest of the bus interior cleaner. How? You ask. 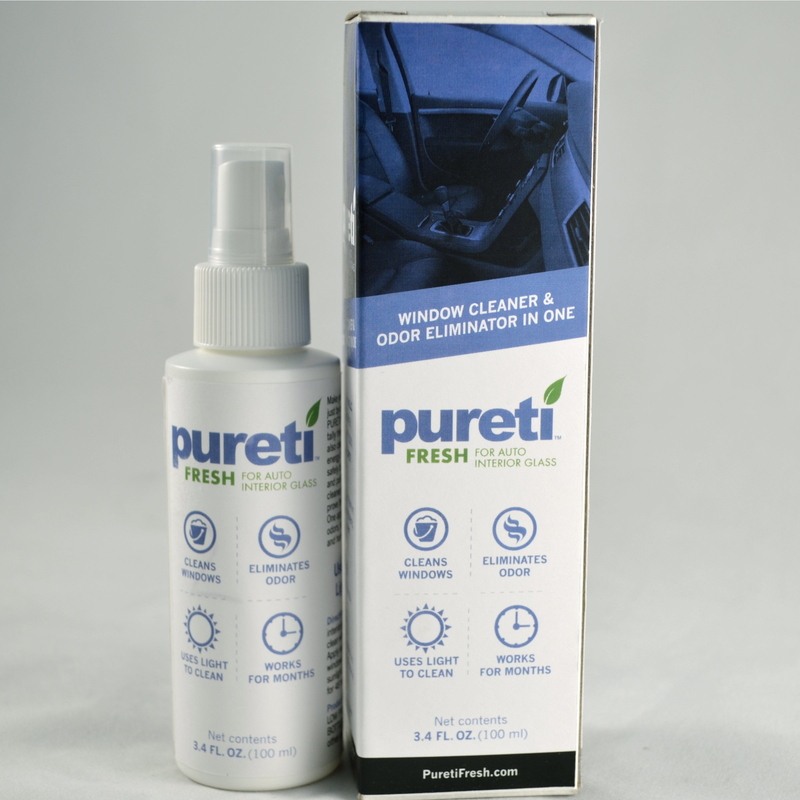 PURETi not only works on the windows, but also works to oxidize particulates and malodors in the air. The active ingredient in PURETi Fresh is titanium dioxide (TiO2). The TiO2 compound in PURETi Fresh acts as a photocatalyst, harnessing the energy from natural sunlight to create a chemical reaction that oxidizes organic particulates. When applied to the interior surface of bus windows, PURETi’s photocatalytic properties help to naturally purify the air and eliminate unwanted odors inside the cabin of a bus. PURETi Fresh is completely odorless and non-toxic, so bus passengers with sensitivities will enjoy clean, fresh air without any added perfumes or chemical fragrances. The self-cleaning technology of PURETi products is taking the concept of green cleaning to a whole new level. If you would like to learn more about the line of PURETi products available for both residential and commercial applications, contact us today or click here to order your supply. Don’t You Hate Smelly Rental Cars? PURETi To The Rescue! 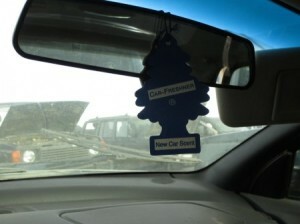 When a car is passed around to lots of drivers, it can hold onto lots and lots of smells. Odors from different foods, colognes, pets and more can saturate the interior of a rental car and make for a less-than-pleasant driving experience for the next customer. To curb the stench and keep rental cars smelling fresh and clean, PURETi offers innovative treatments that are both highly effective and incredibly eco-friendly. With one simple application, PURETi Fresh gradually and continuously combats odors for months, including even tough smells from cigarette smoke and other harmful VOCs. How Does PURETi Fresh Work? The active ingredient in PURETi Fresh uses the energy from natural sunlight to safely break down and eliminate organic grime, pollutants and odors. When applied to the glass surfaces of a vehicle, PURETi Fresh keeps the treated glass cleaner, resists fogging and significantly improves the air quality inside the car. PURETi Fresh is an ideal solution for rental cars because one treatment keeps working for an extended amount of time. A vehicle might transport hundreds of different people over the course of a few months, but it will remain odor free the whole time. Maintenance staff or operators can easily apply PURETi Fresh. The product comes in a simple spray bottle and is paired with a reusable microfiber towel. Just spray the product on the glass surfaces of a rental car and wipe it clean. Whenever the vehicle is exposed to sunlight, a unique chemical reaction will dissipate odors while continuously improving visibility through the windows. PURETi Fresh doesn’t just mask odors; it actually eliminates them. Treated rental cars will smell like nothing other than pure, fresh air – no strong perfumes or chemical odors whatsoever. This product is truly remarkable in the way that it can destroy tough odors without leaving behind any obvious scent of its own. Customer expectations are becoming increasingly focused on safety and sustainability. Meanwhile, rental car companies need products that work well and can ultimately help boost profit margins. Never before has a single product been able to address so many issues in such an innovative way. PURETi Fresh is a comprehensive solution for companies and customers alike. PURETi Fresh is a sustainable product created by an environmentally responsible manufacturer. 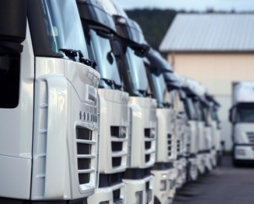 Rental car companies, taxis, commercial fleet vehicles and mass transit vehicles can all benefit from the unmatched value that PURETi delivers. To learn more about how PURETi products can help your business increase customer satisfaction while reducing maintenance costs, contact The Grime Stoppers today! In 2007, the award winning Sustainable Building Program at Los Angeles Community College District (LACCD) tested a new product for its continuing green initiatives. The product was applied to the façade of a building and the effects of the product were observed over time. In 2009, LACCD determined that the treated building had required substantially less maintenance than other buildings and appeared much cleaner. The District then decided to capitalize on the success of the product and had another one million square feet of building roofs, windows and facades treated. PURETi is an innovative product developed to reduce maintenance and improve air quality through photocatalysis. Photocatalysis (also known as UV-PCO or photocatalytic oxidation) is a natural process that uses the mineral, Titania, as a catalyst to activate the energy of the sun for the purpose of oxidizing organic matter at the molecular level. PURETi is a safe and effective mixture of Titanium Dioxide and water that can be applied to any surface that is exposed to UVA light. The photocatalytic oxidation process will keep treated surfaces sanitized and free of particulate matter for an extended period of time. A single PURETi treatment to exterior surfaces, such as windows, building façades, hardscapes, roofs, and outdoor fabrics is proven effective at reducing maintenance and mitigating air pollution for a minimum of 5 years. Indoor surfaces, such as curtains, interior window glass and light fixtures, can be treated with PURETi to significantly improve indoor air quality, control odors, and minimize organic particulates that can negatively impact health for a minimum of 3 years. By eliminating the use of water, chemicals, energy and labor, PURETi can reduce maintenance costs by up to 50%. 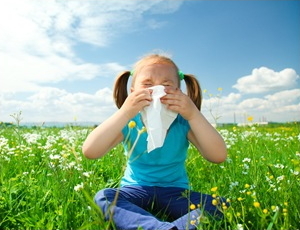 Treated surfaces actually become self-cleaning, health-enhancing air purifiers. A reduction in maintenance expenses also means a reduced cost of building ownership. In addition to treating buildings, PURETi is also effective at reducing vehicle maintenance costs. The photocatalytic oxidation process has been proven by NASA and several Universities to be effective in eliminating, not masking, odors in cars, trucks and busses. PURETi, Inc. is a NASA Dual Use Technology Partner and has been registered by the National Sanitation Foundation as safe for material surface contact. It has also been proven as a key active in an FDA Registered Class II Medical Device for reducing respiratory distress. PURETi can be professionally applied for commercial purposes, or it can also be purchased for residential applications. Grime Stoppers is the ONLY company in the Metro East St. Louis area to offer this innovative product. To learn more about what PURETi can do for your home or business, contact us today.